The strength of a university’s Facebook community may play a role in building brand loyalty among students. The issue: As funding for public universities falls and competition among higher education institutions grows, administrators nationwide are under greater pressure to recruit and retain students. Federal data suggest fewer students are going to college. In the United States, postsecondary enrollment dipped every year between 2010 and 2014 – from 21 million in 2010 to 20.2 million in 2014, according to a 2015 report from the National Center for Education Statistics. Colleges and universities are trying new things to market themselves to prospective students and their families. 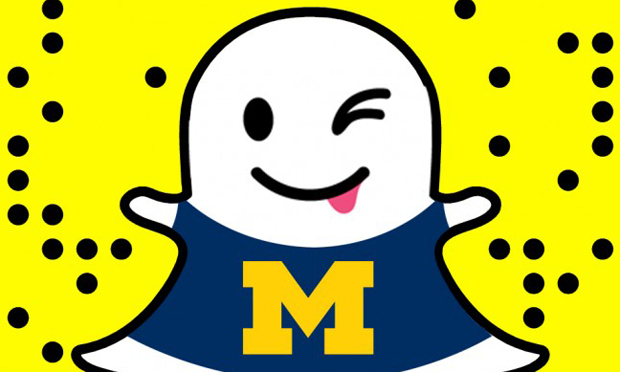 In recent years, they have increasingly relied on social media platforms such as Facebook, Twitter, YouTube, Snapchat and Periscope to boost their visibility and interact with current students and high school students as well as college sports fans. Some of the outreach focuses on alumni, who often help with recruitment and fundraising. An academic study worth reading: “Role of Social Media Community in Strengthening Trust and Loyalty for a University,” published in Computers in Human Behavior, December 2016. Study summary: Four researchers from Eastern Mediterranean University in North Cyprus sought to better understand how a university’s Facebook community influences students’ feelings about the school and how that, in turn, may impact students’ actions. The authors surveyed 206 students who were regular users of a Facebook page operated by a university in North Cyprus. Of the students surveyed, 40 percent said they had used the university’s Facebook page for one to two years. About 43 percent of students were between the ages of 21 to 25 and the vast majority were male undergraduates. A large number of survey respondents were students who were studying away from their home countries. The researchers measured students’ perceptions of the university’s Facebook community, their identification with the broader university community and their identification with the university’s brand. The authors also tried to gauge students’ loyalty to the school brand and determine whether there is a relationship between brand loyalty and students’ willingness to take certain actions, including recommending the university to other people and pursuing further studies at the university. The perceived strength of a university’s Facebook community is linked to how students identify with the broader university community. There is a positive relationship between the perceived strength of the Facebook community and the likelihood that students identify with the university’s brand. “The reason that the strong Facebook community can result in strong identification with the brand is because of the role of identification with the university community,” the authors write. There is a relationship between students’ loyalty to a school’s brand and their willingness to recommend the school to others, share good experiences with friends and participate in school activities. Brand loyalty also seems to be connected to students’ desire to continue their studies at the same university, even in the face of academic difficulties. The National Center for Education Statistics tracks college enrollment nationwide. The Institute of International Education tracks trends involving international students in the U.S. Most colleges and universities have Facebook pages and/or Twitter accounts. To get a sense of how they use these platforms, compare the social media streams of large institutions such as Arizona State University to smaller ones such as Roxbury Community College in Massachusetts. A 2016 white paper from the Council for Advancement and Support of Education, a professional association of educational institutions, offers insights into the various ways schools, colleges and universities use social media. A 2016 report from the Pew Research Center indicates Facebook is the most popular social media platform – 79 percent of internet users use it. Meanwhile, 36 percent of online adults aged 18 to 29 use Twitter. A 2014 study published in Community College Journal of Research and Practice, “Social Media, Higher Education, and Community Colleges: A Research Synthesis and Implications for the Study of Two-Year Institutions,” explores the ways colleges use social media to improve student services and encourage student-faculty communication. A 2011 study published in Internet and Higher Education, “Serious Social Media: On the Use of Social Media for Improving Students’ Adjustment to College,” suggests that students who used a student-centered social media site before moving to campus had higher expectations for their first semester. Citation: Nevzat, Raziye; Amca, Yilmaz; Tanova, Cem; Amca, Hasan. “Role of Social Media Community in Strengthening Trust and Loyalty for a University,”Computers in Human Behavior, December 2016, Vol. 65. http://dx.doi.org/10.1016/j.chb.2016.09.018.